Eat well without burning out under a pile of dishes! – helping women with Lupus reclaim their health. 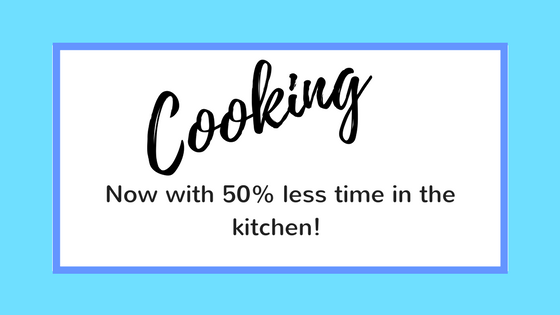 Eat well without burning out under a pile of dishes! So you want to change your diet so you can reduce your inflammation and feel better, but cooking is kind of killing you? I get that! Cooking three times a day means that much of your day is dedicated to cooking, eating, and cleaning up. Which is why I give it a big fat nope! Now, don’t get me wrong. I love to cook, and I do eat home cooked meals almost every meal. But I’m not cooking each meal. Over the years I’ve developed some habits that keep me rolling in the homemade food without spending all my time in the kitchen. But first here are 3 reasons you should be making your own food. Control over your food. Most restaurants, even those with “healthy” options, use highly inflammatory oils, like vegetable and canola oils. They also often use prepackaged food full of the neurotoxin MSG or additives that harm our gut. Quality. Most restaurants serve non-organic produce and conventional meat. While some non-organic produce is fine to eat (check out the EWG clean and dirty list), the majority isn’t. That means we are exposing ourselves to pesticides that harm our brain, disrupt our hormones, and contribute to cancer, while conventional meat is high in inflammation causing fats and carries gut damaging antibiotics. This is especially important for those of us with autoimmune disease. So now that we established the “why” let’s talk about the “how.” As in how do we get non-inflammation causing, nutrient-dense food into our body without burning out under a pile of dishes. 1. Get the right equipment. Get yourself a good, large sharp knife and a big cutting board. Its hard and no fun trying to cut with a dull knife on a tiny cutting board, not to mention dangerous. You can buy good quality and inexpensive knives and cutting boards at Marshall’s or Amazon. 3. Make a big batch. Make the whole chicken and cook the whole bag of beans. Basically, just double or triple any lentils, grains, or proteins you make and store the remainder in the freezer for next week or in the fridge to use sooner. 3. Meal prep. Make a full meal that can be easily heated and eaten over several days. For my kids, I make these 3 ingredient egg muffins to make the morning easier. For myself and my husband, I roast 3 cups of chickpeas, half a butternut squash, a sweet potato, and a bag of Brussels sprouts and make a big pot of quinoa for a yummy weekday meal. This takes some time, but I save more time later in the week, and I get to eat well with very little effort. Making the most of your meals does take some adjustment. But once you find your groove, you will be saving money and healing your body with the best of them. What do you think? What questions do you have? Any kitchen hacks to share? I would love to hear your thoughts! Previous Post Bump this to the top of your to-do list RIGHT NOW! Next Post Toxins are everywhere! Whats a lady to do?